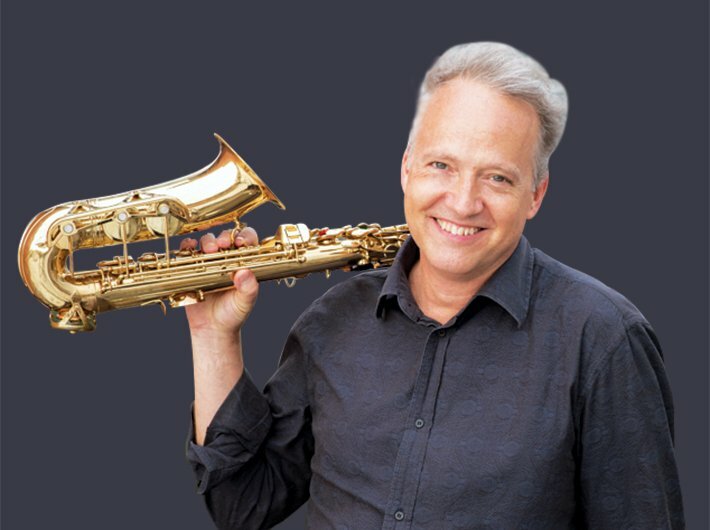 American jazz musician Ted Nash has won this year’s Grammy for his album Presidential Suite: Eight Variations on Freedom for ‘Best Large Jazz Ensemble Album’ and the ‘Best Instrumental Composition’ for the composition Spoken At Midnight inspired by the Tryst with Destiny speech given by India’s first prime minister Jawaharlal Nehru. Apart from Nehru, the album features speeches by 20th century leaders like Nelson Mandela, Winston Churchill, Aung San Suu Kyi and John F Kennedy. Based in New York, Ted wishes to visit and perform in India. When did you first come across Nehru’s famous oration and how? I found Nehru’s wonderful oration after an internet search on the important speeches of the 20th century. The speech moved me and gave me goose bumps. How did the Tryst with Destiny speech inspire you? I am a sucker for freedom. When I see a person or a country getting the freedom they deserve, that they have fought for, it moves me. My parents were civil rights activists and their struggle for human rights has always stayed close to my heart. The intensity of his expression in embracing India’s freedom from nearly 200 years of British rule, feels very powerful. How did you conceive the unique idea of the Presidential Suite? An earlier work I composed for big band, Portrait in Seven Shades, dealt with paintings by master painters like Picasso and Van Gogh. I have always been inspired by great art, and that concept gave me fuel for creativity. For this more recent project I explored an idea I had been thinking about: to transcribe speeches for their actual pitches, creating the thematic material which I would later set into a context. As I began listening to potential speeches I noticed the ones that I chose were one that dealt with the theme of freedom. Could you tell us, in lay terms, about the sort of musical improvisation you played with while working on Nehru’s and others’ speeches? Improvisation is a vital part of jazz.For me jazz wouldn’t be complete if it didn’t include improvisation. Speaking is also a form of improvisation. When we speak we have an idea and then we choose words and phrases to express that idea. We also improvise our intonation, the ups and downs of the tones, the cadence. Even if a speech is written in advance, as is the case with most political speeches, the speaker is still improvising the phrases, the spaces, the exclamations. There is so much music in the way we talk. In the case of Nehru he spoke in a very narrow space, like a third or fourth. The resulting material I got from his speech was contained to this small interval. Other speakers, like FDR [Franklin D Roosevelt], had phrases that leapt out over huge intervals. Each of these presented challenges in terms of creating a form in which to express these melodies. How does it feel to win Grammy? I am very happy to be recognised by the Academy and also my peers in the music business. It is an honour. I hope that this recognition will help bring about more opportunities to be creative. I have many ideas. I am not sure which will be my next, but I will hopefully get to all of them. So much to do and so little time! 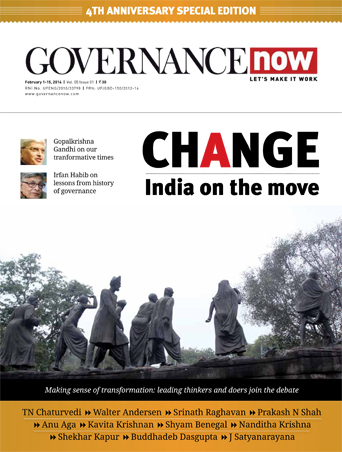 Have you read or followed the speeches of other Indian leaders, say Gandhiji, Indira Gandhi, Vajpayee? I have read some of Gandhi’s works, and he is certainly one of the most inspiring people of all time. There is still so much for me to explore with regard to India’s rich culture and history and I look forward to that exploration.